Serendipitously, on the day after Freedom Part 2 was released to the masses (check us out on 2dopeboyz.com) and the day before its Music Video premier, an article that I wrote about the song was published in the News and Observer. 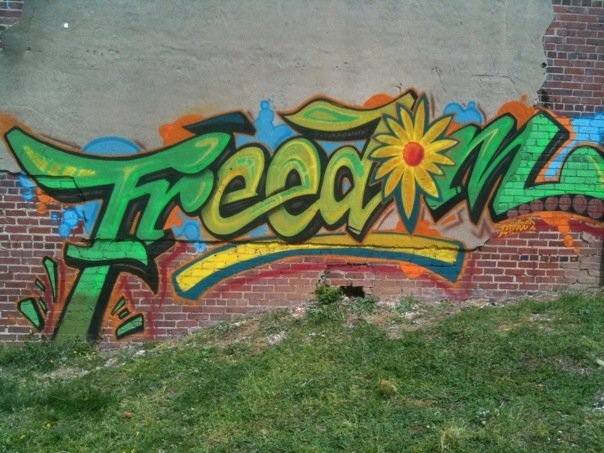 Entitled, When Freedom Disappears, the articles talks about how and why we made a music video for Freedom Part 2, and why the graffiti mural we painted during the video shoot was controversially removed. Check out the article here and enjoy this photo of the mural. It is, after all, the last vestige of its existence.